My favorite world-one level in any Mario game is Yoshi’s Island 2. 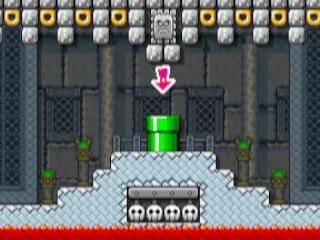 There’s a lot about the level that can’t be replicated in SMM as it currently stands – including, oddly, the length. So I had to put half of it (the part after the midpoint) underground. 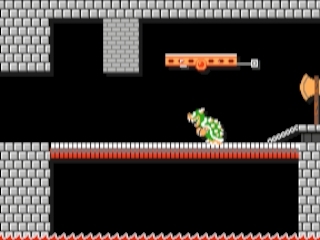 But in doing so, I also accidentally made the level soft-lock-able: if you jump over the fake goal underground without a cape, there’s no way back. I think this one is due for a remake soon. Super Mario World is my favorite 2D Mario game, and the feeling of the castle is part of why. I particularly like the way the thwomps have many different ways of challenging the player, and many different ways for the player to deal with them. 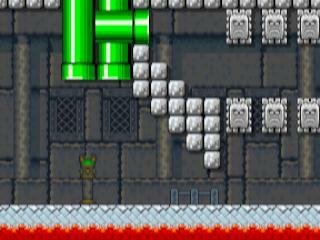 I’d like to rebuild this level soon, too, though; it’s really rough. The branching paths aren’t really worth exploring, and the gimmick doesn’t really pay off in a meaningful way. Maybe some pink coins would help? Heh, this one was fun. And very literal. My son was watching me build levels, and when I opened up a new castle level, he crawled up to me and started scribbling on the screen. I erased the unscalable wall he made, gave him cloud blocks to play with, and let him scribble. Then he chose where to place the galoombas and fish, all of which die before you can reach them. Then I moved the goal to where he stopped when he got bored and uploaded it! Not much to say about this one. 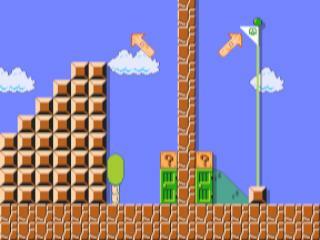 It’s World 1-1 from Super Mario Bros., recreated block-for-block in SMM. I built it in order to build the next one (The 1-1 Rewind), and also because I wanted to look at it in the other styles. Hopefully it can be helpful to others, too! If I redid this again, I’d probably fix the underground and center it a bit better. Oh, and fix the thumbnail. Yuck. “Historically Accurate” was built mostly so I could put this one together. I wanted its base to match 1-1 as closely as possible. I like the result. Play 1-1, but backwards! Trying to figure out what makes the level good, and then also making it possible to run it backwards, is pretty fun. I did, of course, add some bonus stuff. The underground portion is probably my favorite. I’d been working on a level with a sort of “unreliable narrator,” where it was obvious that whatever you were told to do, you should do the opposite. 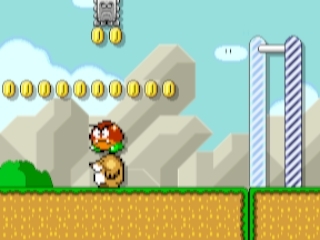 It was intended as a joke for people who play a lot of 100 Mario Challenges, because so many builders think it’s fun to do something trolly in exactly the same way as everyone else. All I could figure out how to do fairly was hidden blocks. I’ll probably revisit the original idea soon with pink coins, but I’m pretty happy with this one for the time being. In the beginning of 2016, I watched Spamfish play a lot of Super Mario Bros. in his first annual Mariothon. It took him 61 hours. And while I was watching, I spent a lot of time thinking about how a ninth-world castle would look. It came out a lot easier than I expected, though; this is really more of an alternate sixth-world castle. 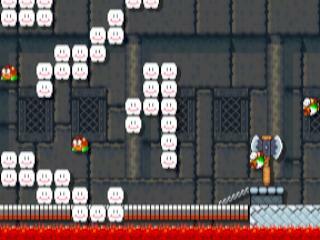 Still, I like this as a traditional-style level; it was fun to build. For this one, I needed some help. 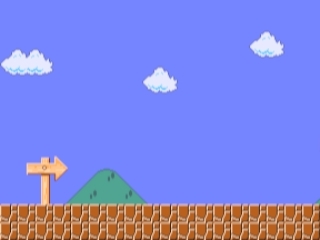 I had the idea for this course ages ago, and wasn’t able to really make it work until the March 9 Key update, but I still couldn’t make the final battle with Bowser work. So I enlisted the assistance of my friend Luke, and he helped come up with the thwomp/rotating block mechanic in the final battle room – which is, admittedly, a pretty sharp difficulty curve, but I’m ok with it. I’d love to work with that particular mechanic on another level in the future. I’m also really pleased by the visuals in this one. 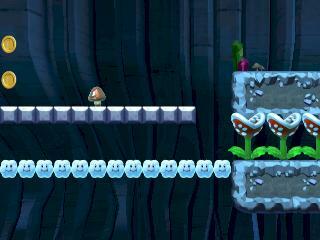 I think it looks better than any level I’ve made yet! There will be more levels coming soon, but until then, I’m looking forward to hearing your feedback on my levels!